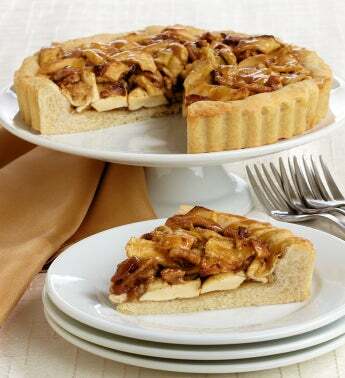 This baked beauty brings you the comforts of home with the aroma of cinnamon-seasoned dried apples, brown sugar, pecans and caramel atop a home-spun buttery cookie crust. Each cookie pie is lovingly hand-crafted in small batches. Artisan baking at it's best!